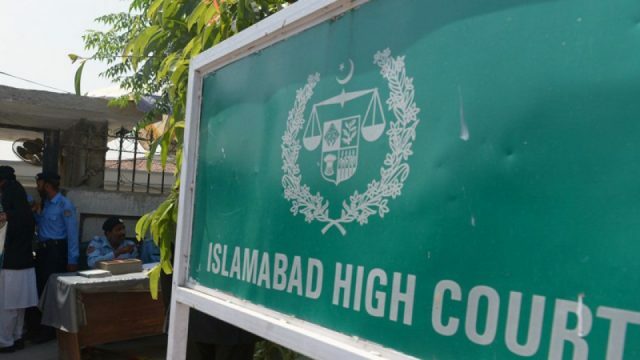 ISLAMABAD: The Islamabad High Court (IHC) Thursday maintained its stay order on removing chief executive officer (CEO) Drugs Regulatory Authority of Pakistan (DRAP) Sheikh Akhter till next week. The bench, however, summoned the two sides for final arguments in the case on next Tuesday. Justice Miangul Hassan Aurangzeb of IHC resumed hearing on an appeal filed by Sheikh Akhter challenging his removal by the Ministry of National Health Service and Regulations on charges of holding a fake PhD degree. During hearing, the Secretary Health Ministry produced a detailed report before the bench regarding the removal of DRAP’s CEO. He stated that Sheikh Akhter had failed to prove that his PhD degree was chartered in Sri Lanka. He said that the university, who had issued the degree, had not been registered in Higher Education Commission (HEC), Sri Lanka and United Nations Educational, Scientific and Cultural Organization (UNESCO) as well. He further said that ‘Open University Colombo’ had been written on top of Akther’s PhD degree. However, only one relevant name of ‘Open International University for Complementary Medicine, Sri Lanka’ was appearing on a search on Internet. The bench, however, adjourned hearing of the case till next Tuesday and sought final arguments from the two sides.